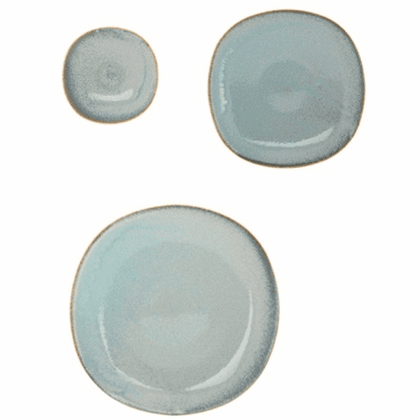 Plates, 5-1/2", 7-5/8" or 9-7/8"
Three different sizes ceramic indigo fog color plates. Perfect for serving sushi, main dishes, and pasta. Each piece is unique in its shading and color. No two pieces are exactly alike due to the inherent nature of the clay being used.